1. Click inside the 'Central Topic' and type in your essay title, aim of your lesson or the main objective of your project. 2. Select the central topic, choose 'insert' on the menu and select 'topic'. Type in your first side heading. As an alternative you can select the central topic and press the 'enter' key before typing in your first heading. 3. 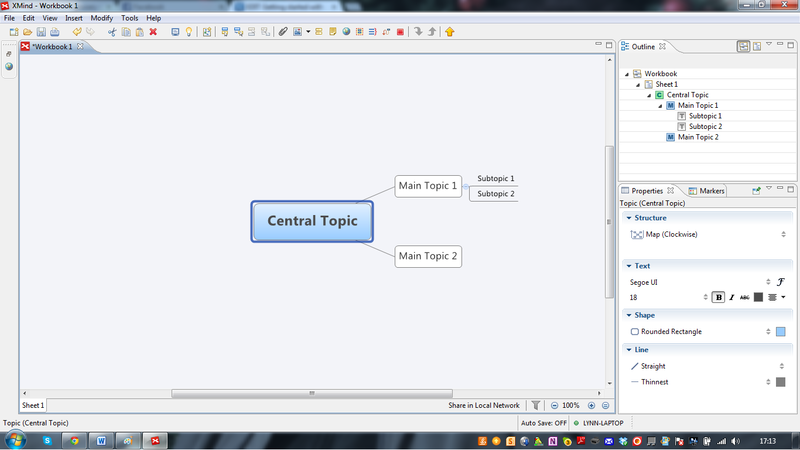 Continue selecting the central topic and adding topics to your map as above. As an alternative, you can select a topic and press the tab key.